We manufacture Hand Pump Cup Washer for domestic hand pumps, industrial pumps, agricultural pumps to sizes and samples. Please send us your sample and drawing to get the best price. We make cup washers for all uses sizes from 2 to 12. We also make disc washers from sizes 2 to 15. 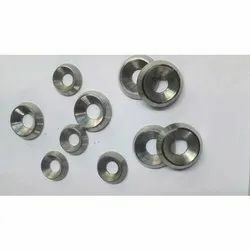 Using our own sound industry experience, we have been successful in catering to the requirements of our esteemed clients by offering quality Finishing Washers. Cup Washers, offered by our company, are manufactured from optimum quality brass, steel, etc. Terminal Cup Washers are extensively demanded in automobile and shipping industry for specific purposes. They are unmatched in terms of quality and durability. Our company is now standing in front row with the leading Metal Cup Washers Manufacturers and Suppliers.